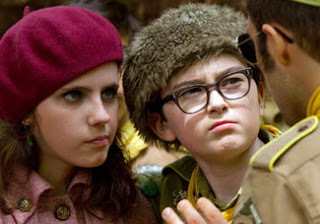 I'd say Fantastic Mr. Fox ranks right after Moonrise Kingdom and Tenenbaums. Amazing movie. It's so cool to see how Anderson's style translates over in an animated film, and the stop motion is incredible. That's very encouraging. A cartoon version of Wes Anderson's quirky comedy style! I've got to add Mr. Fox to my "must see" list. Thanks, Anonymous.